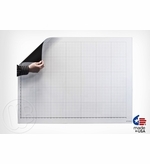 OptiMA Roll up dry erase magnets provide an easy portable dry erase surface in many sizes and styles. 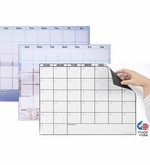 These magnets stick to magnetic whiteboards or smooth metal surfaces for ultimate versatility. 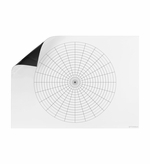 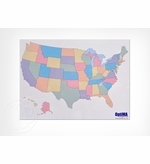 A graph magnet or map sticks to your classroom whiteboard for a quick lesson then rolls up until you need it again. 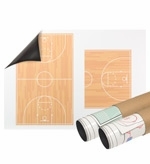 Coaching boards stick to metal lockers to go over the game plan with the team. 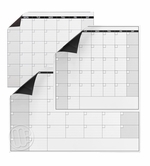 Our fridge calendars help keep the family organized. 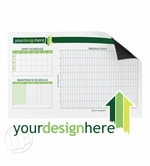 With all the options that we have in dry erase magnets we can also custom print these to suit your specific needs. 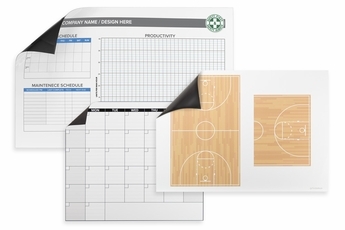 Our exclusive premium OptiPrint™ dry erase surface writes smooth and erases clean and the graphics are sharp and clear. 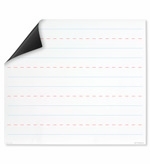 These quality white board magnets are made in our US factory and shipped to you in a shipping tube via standard ground service. 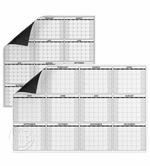 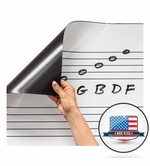 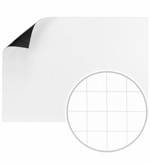 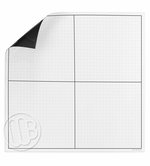 Five Sizes Up to 45" x 92"
Dry Erase Flat Magnetic Sheets up to 42" x 96" Stick to Any Smooth Steel Surface.